Supported by punctilious professionals, we are currently involved as manufacturers, suppliers and traders of Prop Nuts.These nuts have intense use in automobile industry due to their rugged design and excellent finishing. Our offered nuts are manufactured by using fine quality steel procured from trusted sources with use of modern machines as per latest industrial norms. 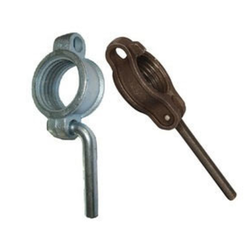 Furthermore, we provide these nuts in different specifications to meet clients' diverse needs. Looking for Prop Nuts ?